Xiaomi is set to unveil the Mi Note 2 at an event in China on October 25. Running up to the launch, there has beenno shortage of leaks and speculations. The latest one comes in the form of purported photographs of the Xiaomi Mi Note 2, and the pictures hint that the upcoming smartphone will sport just one camera at the back, and not two. A little while earlier, an alleged Xiaomi Mi Note 2 teaserhad been leaked, showing the phone sporting a dual camera setup. However, these latest pictures snapped by a Weibo user, speak a different story. 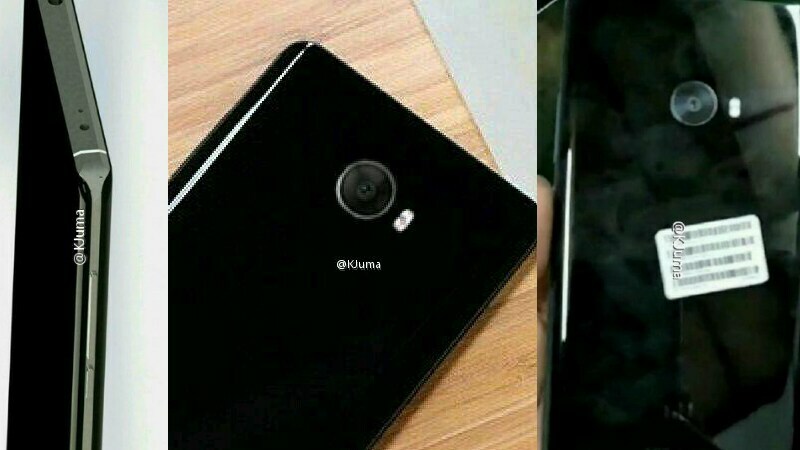 If these images are real and accurate, the Xiaomi Mi Note 2 will sport a single camera at the back. This image also brings back hopes of a dual edge screen. The jet black variant snapped in the photos comes with a dual curved screen, synonymous with the Samsung Edge series. This latest leak also refutes previous rumours that claim the Mi Note 2 will sport an edge-to-edge bezel-less display with no curved edges. As is the case with all leaks, we expect you to take this with a grain of salt and since we are just a week away from the launch, all the details will be official soon. As mentioned, the Mi Note 2 has been rumoured to launch for quite some time. The smartphone is said to be powered by a Snapdragon 821 SoC, and pack a 3600mAh battery. It’s anticipated to sport two speaker grilles at the bottom, and have a fingerprint sensor at the front. Lastly, the Mi Note 2 is expected to come in 6GB RAM/ 64GB storage and 6GB RAM/ 128GB storage bundles. The Mi Note 2 is rumoured to be priced at CNY 5,699 (approximately Rs. 57,000) for the top-end variant and go on sale in China from November 1.